12 Commercial Real Estate and Properties in Newcastle are listed in 5 categories. We have 5 Development Lands for Sale , 3 Offices for Sale , 3 Retail Shops for Sale , 1 Industrial Warehouses for Sale and 1 Medical and Consulting Properties for Sale . Offering a selection of Studio, 1, 2 and 3 bedroom luxury apartments. Featuring balconies and terraces perfect for entertaining, each apartment comes with it's own secure parking. Grace Apartments offers an ideal lifestyle set in the sought after Eastern side of Charlestown. 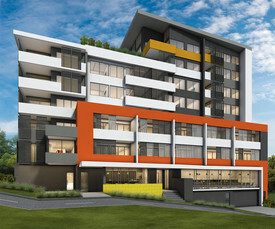 O'Connell Architecture has delivered a unique design, focusing on live ability and lifestyle, and setting a new benchmark for modern apartment living. The gourmet kitchens are designed to maximise space and include two toned cabinetry, stone bench tops with waterfall edges, and quality stainless steel appliances including gas cook top and dishwasher. The kitchen flows effortlessly into the open plan living area, creating beautiful spaces for entertaining. Optional upgrades are available and can be tailored to your needs, featuring oak timber flooring and SMEG kitchen appliances. Your new lifestyle awaits. www.graceapartmentscharlestown.com For further information, Please contact Barry Price on 0402 140 240 or Demika Crow on 0432 336 976. We look forward to speaking with you soon. Coming soon to Mount Hutton is 'Accolade', a boutique development of 18 architecturally designed 2 3 bedroom villas. These stylish contemporary villas are either single or split level, offering modern and spacious open plan living. A mix of 2 3 bedroom options featuring light and airy quality kitchens with stone bench tops, stainless steel appliances and gas cooking, Daiken split system a/c to the living areas, ceiling fans and built in robes to all bedrooms and your choice of colour scheme. Each with their own private courtyard and alfresco entertaining area. Conveniently located on Warners Bay Road, just across from Lake Macquarie Fair, only minutes to the beautiful shores of Lake Macquarie, Warners Bay cafes, shops and restaurants and Charlestown Square. A central location only a 15 minute drive to Newcastle CBD and easy access to The Newcastle Link Road. Enjoy the benefits of buying off the plan, including new home builder stamp duty discounts and first home buyer grants for suitable applicants. Buying off the plan offers you a great opportunity to secure your chosen villa now with only a deposit and balance of sale price not due until settlement. Now is the perfect time to buy and secure at this very affordable price for brand new modern living. Perfect for the owner occupier or investor. This exciting new development really does represent value for money. 2 bedroom, 2 bathroom options available from $454,990 3 bedroom, 2 bathroom options available from $489,990 For further information please call Barry Price on 0402 140 240 or Demika Crow on 0432 336 976. Located at the “9 Ways” intersection in Broadmeadow, this freestanding building is a rare offering to the market. 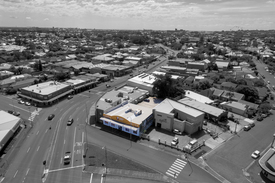 The “9 Ways” intersection is a main arterial road connecting surrounding suburbs to the Newcastle CBD, making this a highly visible and desirable location Key Features • High exposure and central location • Total building area – 383m² (approx.) • Site area – 1,028m² (approx.) • Leased to a Telstra Business Centre until 2021 • Current annual income $92,742.00net • Potential redevelopment opportunity Approximate Subject to council approval EOI closing date 17 December 2018 To arrange an inspection or to receive a copy of the Information Memorandum contact our team. The property has recently had Development and Occupation Certified approval for Home Business and additional garaging with it's own dual lane drive access to house three small touring busses, The floor space is approximately 80 square metres, has a maximum head space of 4.7 metres high, centre access roller door 3 metres high and has water and three phase power facilities. The well maintained fully renovated three bedroom residence is very well presented with polished floorboard, freshly painted, new kitchen , bathroom and laundry, air conditioned lounge / dining. Set on private level grounds with double under cover parking fronting Elsdon Street opposite Council Reserve. Multiple opportunities include: Tradesperson to utilize the shed and live in or let the residence Investor to obtain two income streams (garaging is separated from residence and carport by dividing fence) Home owner requiring multiple off street parking with secure workshop garaging DISCLAIMER We have obtained all information provided here from sources we believe to be reliable; however, we cannot guarantee its accuracy. Prospective purchasers are advised to carry out their own investigations and satisfy themselves of all aspects of such information including without limitation, any income, rentals, dimensions, areas, zoning and permits. MAYFIELD NEWCASTLE Expressions of Interest Closing: 12th May 2015 at 4pm Recognised facility that is student exclusive Renovated including a mix of en suite and share rooms Equidistant from the Inner City and Callaghan Uni Campuses Excellent mass with a total of 46 rooms Property attracts Capital Allowance and Tax Depreciation Detailed information memorandum available This property functions as an accommodation facility exclusively for students attending the University of Newcastle and Hunter TAFE. it is recognised by the Student Accommodation Services of both institutions and is a recommended facility. There is an onsite caretaker who provides a concierge style amenity, however the complex is managed externally. All utilities including the internet are included in the rent and the rooms and common areas are fully furnished. This accommodation facility is located within walking distance to Mayfield Shopping Centre and is on a direct bus route to Newcastle University Callaghan Campus, Newcastle Campus and he Hunter TAFE Tighes Hill Campus. The property is a well known and sought after student accommodation for both domestic and international students and is made up 8 studio apartments and 38 quality rooms. For a copy of the Information Memorandum or further details, please contact Andrew Walker DISCLAIMER We have obtained all information provided here from sources we believe to be reliable; however, we cannot guarantee its accuracy. Prospective purchasers are advised to carry out their own investigations and satisfy themselves of all aspects of such information including without limitation, any income, rentals, dimensions, areas, zoning and permits.